Single user licence and the ability to purchase up to 20 user licences. Access to Sage Online Tools to set up your company website and sell your products and services online. 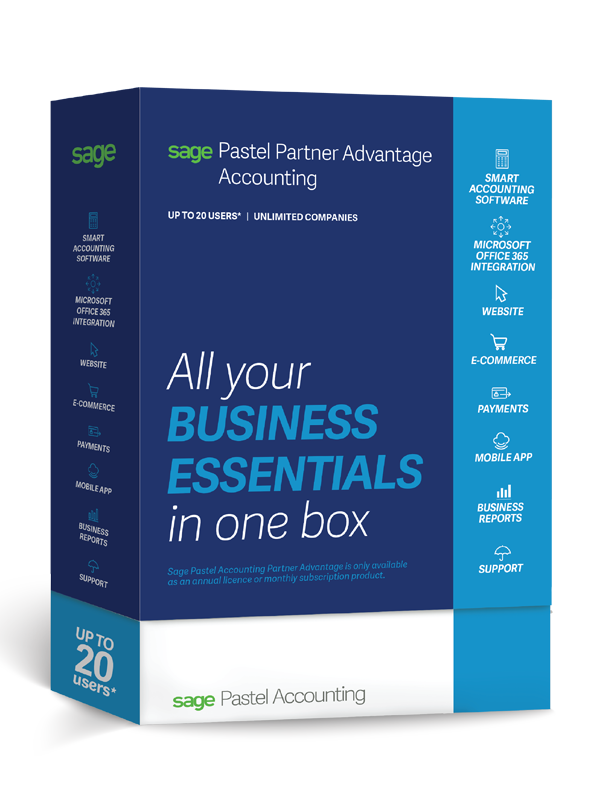 The solution is integrated with Sage Pastel Partner Advantage so all your pricing and stock levels will always be up to date online and all orders placed online will automatically populate your Partner package.